With digital space evolving at a rapid pace, traditional analytics is not enough when it comes to user experience. While the emerging technologies are giving us visibility to user interactions like never before, it’s crucial that design communicates with the user and enable them to perform desired actions. For this UX researchers have to employ both qualitative and quantitative data to build interfaces. Let’s dig deeper into how UX analytics can help you engage better and build an effective user experience. Is it different from web analytics? Web analytics gives you an idea of how a visitor is landing on the page, starting from page visits, click rates to how they move around to other pages via bounce rates, drop offs, and much more. However, it falls short when it comes to what a person is doing within each page or screen. 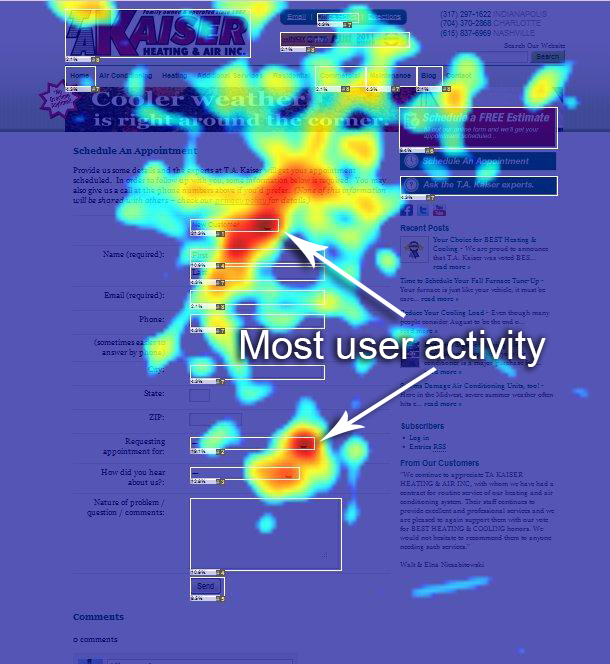 UX analytics gives you a mechanism to track user behavior. It includes how users move their mouse, how they interact with media files, conversion buttons, etc. It gives you crucial insights on the page design, if the user is able to see the CTAs, application forms, shopping carts, headings, and media files. UX analytics combined with artificial intelligence will be able to guide businesses on why users behave the way they do, why they didn’t perform the desired action or the reason behind them leaving a page. Traditional KPIs depend on basic metrics like conversion rate, page views, and bounce rates. However, UX analytics is the world of the following modern KPIs. The hesitation time explaining the time between a hover and click. The depth of scroll that how long a user scroll and how far down a page. The impact of typography on conversion and how much user engaged before making a purchase. The average time spent on the images and videos to measure if they are distracting or attracting users to perform an action. The time spent and the number of mouse hovers over the links to find which links user found attractive. Visitors interacting with each form field and if some fields are taking a long time to complete, forcing visitors to think too much and reducing conversion rates. 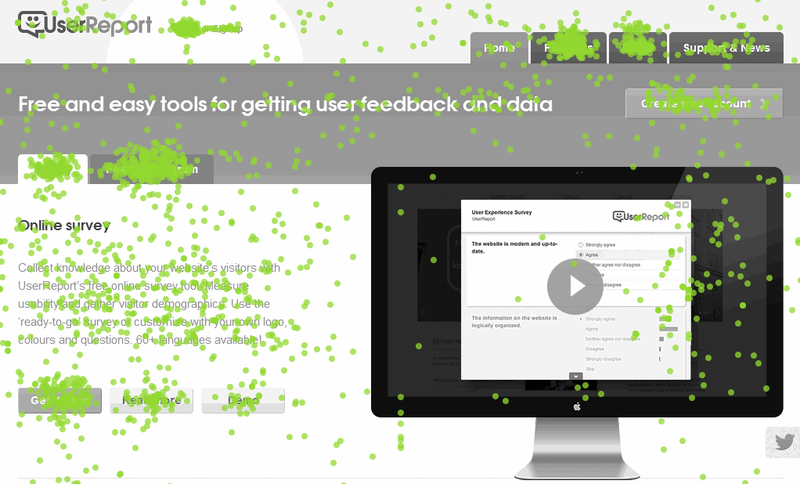 During the user interviews, it’s common for researchers to get a response that varies completely from the data collected during a heat map or other surveys where the interviewer is not present. As UX analytics are independent of the influence of UX researchers and data captured in user’s natural environment. Therefore, it gives more realistic insights and honest opinions than traditional UX research techniques. Session playback – recording the real user sessions to understand user actions and problems they encounter. Touch heatmaps – visualizing different user touches and taps to figure out how user interact with features and where they focus the most. Eye tracking – measuring where the eye is focused or the motion of the eye as a user views the interface. Crash recordings – recording crashed sessions and actions that resulted in a crash. Click maps – to find out which parts of the page are attracting the most attention, which banner is having the most valuable conversions and where the connection breaks. Complete data report – evaluating web forms and identify the fields causing the biggest drop-offs before filling the form. These are only a few UX research techniques that help researchers to better capture the user behavior and their response. How will AI be a game changer for UX analytics? Every time a customer lands on your page, you get an opportunity to access more data. It gives you an understanding of your visitors and what are they looking for in the interfaces. Furthermore, it helps you in figuring out what prompts them to convert into customers. With the help of AI, designers can make better sense of the user behavior via UX analytics. It will pave the way for more powerful UX that takes even the finest detail of their user behavior. AI can suggest design options that evoke a certain reaction out of desired users. It will help designers in predicting user actions, the path they are expected to take and sketch a customer journey. They can even optimize their journey to boost branding, engagement, conversions, and loyalty. If you want to leverage the power of UX analytics to create an engaging and profitable user experience, Inkoniq would love to hear from you.